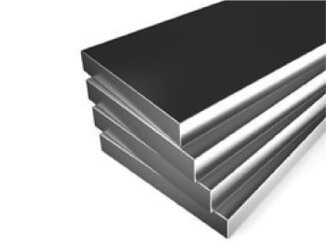 Bright mild steel is essentially black steel that has had further processing. The steel is processed further in cold reduction mills, where the material is cooled (at room temperature) followed by annealing and/or tempers rolling. This process will produce steel with closer dimensional tolerances and a wider range of surface finishes. Bright steel is treated further after it has been processed resulting in a wider range of finishes and removal of surface imperfections. This results in bright flat sections being significantly aesthetically pleasing as well as increasing tensile strength. South West Steel offers a wide array of Bright Steel products including sections, sheets and bars. If you are looking for these products and wish to see dimensions and prices then do not hesitate to contact us today for a free quotation.